The Arts Council of Indianapolis and The Nature Conservancy/Indiana invite artists to submit photographs and photo-based artworks highlighting the natural beauty of Indiana, to be selected through a competition format for consideration for display at the Indianapolis International Airport for a three-month period beginning in July 2019. Details for shipping, delivery and pickup will be sent to artists selected for exhibition. The Nature Conservancy and the Arts Council of Indianapolis reserve the right to adjust any deadline(s) as a result of causes beyond their control. 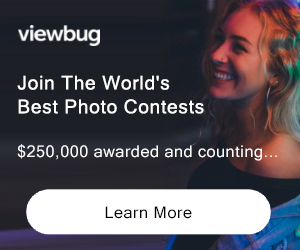 PRIZE DETAILS: The judging panel will designate “Best Of” recognition for each division and category, for up to 7 possible recognized images selected from those identified for display. In addition, a special “Nature Conservancy Award” will be granted to recognize the most evocative portrayal of a Nature Conservancy site in Indiana, without regard to division, and the artwork will be featured on The Nature Conservancy’s website. It is possible for one image to receive both a “Best Of” award and the Nature Conservancy Award. Additional images may receive “Juror’s Award” recognition at the discretion of the jury panel. 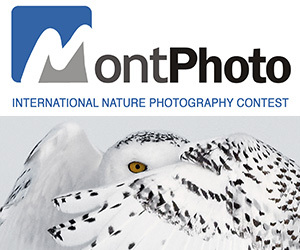 The Nature Conservancy will stage a “People’s Choice” award competition via Facebook during the run of the exhibition. A set of images will be featured each week and “likes” will be collected to determine the award winner. More details will be sent to the artists whose work has been selected for exhibition. No cash or monetary prizes will be given. Not eligible to enter? - Find contest where you are. Use the photographs or photo-based images, without compensation to the artist, on the organizations’ respective websites and in news releases, which may then appear in print or on third party websites, for the purpose of publicizing the resulting exhibition, any of the Indianapolis Airport Authority’s activities, any of The Nature Conservancy’s or the Arts Council of Indianapolis’ activities, and future competitions. Use the photographs or photo-based images, without compensation to the artist, in any of the organizations’ respective communications. Provide the photographs or photo-based images, without compensation to the artist, to other individuals and organizations for use in news stories, newsletters, reports, slide shows, displays, web pages, and the like, including posting to TNC’s Facebook page for the purpose of operating the “People’s Choice” competition. Use, in connection with Indiana, Naturally, your name, city, state, and country of residence in promotions and other publications. Keep the files provided, and to archive the photographs and photo-based images on CD or in other electronic forms, so that they can be used to support the sponsoring organizations and be properly credited. The Nature Conservancy, the Arts Council of Indianapolis, and the Indianapolis Airport Authority shall endeavor to credit all photographs with the caption “© [Artist’s Name]” USAGE RIGHTS: See Copyright.